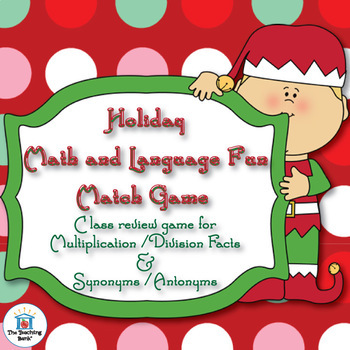 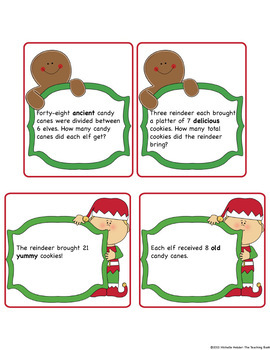 Holiday Math and Language Fun Match Game is a Common Core Standard aligned game that can be played as a whole class game, in small groups, or independently to review basic multiplication and division word problems along with synonyms and antonyms. 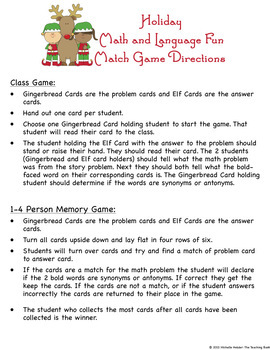 •Directions for whole class, small group, and individual game play. 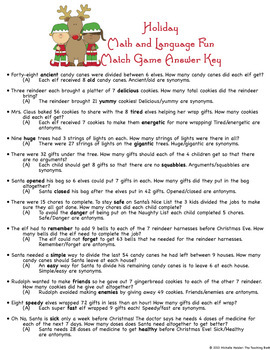 •Common Core Standard Alignment Checklists for grades 3-5.